Leading Manufacturer of battery operated hydraulic cutter from Agra. As an affluent manufacturers, trader, exporter and supplier, we are highly engaged in offering superior quality Battery Operated Hydraulic Cutter. The offered hydraulic cutters are made by utilizing high grade material and advance technology to make sure flawless at users' end. 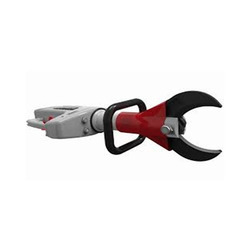 These hydraulic cutters are provided in various specifications to meet the requirements of the customers. We are providing these hydraulic cutters within the promised time frame at competitive rates to our customers. Looking for Battery Operated Hydraulic Cutter ?